DISCOVER… Your Paradise on earth, the sea, the beach resort of your dreams, all set against a spectacular tropical backdrop. Paradise Village Nuevo Vallarta Beach Hotel is the most complete development of the beautiful Bay of Banderas & Riviera Nayarit Mexico. 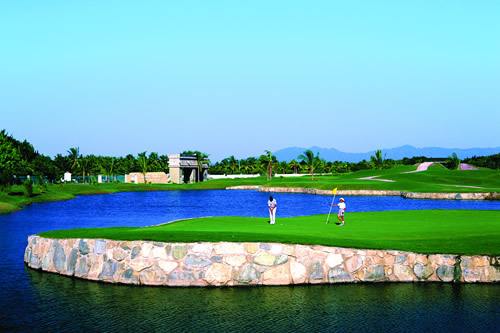 two European-style spas, world class marina, several recreational activities, sports club, championship golf course of PGA, shopping center, 5 Star Resort, kids club and medical services, all within walking distance. Imagine a world of luxury, impeccable standards and service that caters to your every whim, all set against a spectacular tropical backdrop. 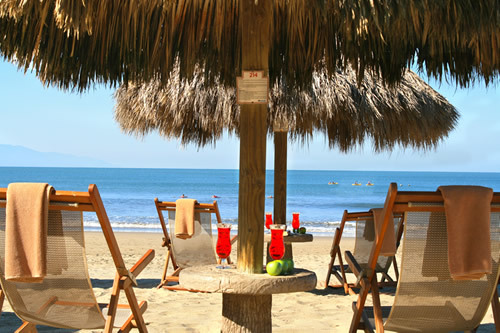 Elegantly situated in the heart of the Nuevo Vallarta development, the Paradise Village Beach Resort and Spa is an oasis surrounded by shimmering waters and one of the most gorgeous beaches on the Riviera Nayarit. The architecture and traces of Mayan decor throughout this beautiful resort capture the unique richness of Mexico and the sophistication of today's most modern amenities. From its exclusive location on a private peninsula, to the all-suite, designer accommodations, this is a five star hotel experience that will surely surpass anything you have ever known. Includes All Meals & Drinks For The Entire Stay. All Inclusive Family Getaway 6 Days and 5 Nights of All Inclusive for 2 Adults + 2 kids.